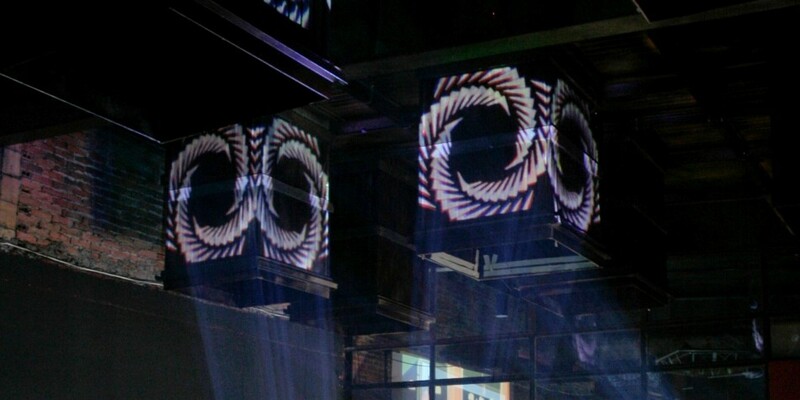 Tripple ‘i’ is a reactive projection mapping showcased during Vivisesja – 2nd International Festival of New Audiovisual Phenomenons in Poznan, Poland. 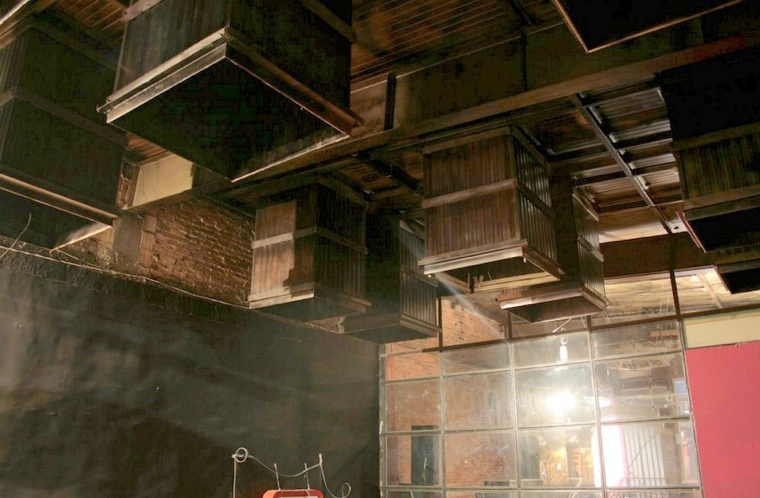 Several animated patterns were displayed on 8 sides of air conditioning installation on the celling using only 2 projectors. Every time somebody was passing by an infrared sensor was triggered causing change of animation. Tripple ‘i’ comes from Computer Science, Intermedia Art and Interaction Design (pl. Informatyka, Intermedia, Projektowanie Interakcji). Three topics I studied during last 7 years for the first time combined in a public space project. I was invited to take part in Vivisesja by Ad Arte foundation and Przychodnia gallery. Air conditioing in Eskulap club were the festival took place during the day. For making it possible I developed a tool in Processing that allowed me to precisely map rectangles on the sides of the qubes. If you are interested into source code please read related blog post in links below.